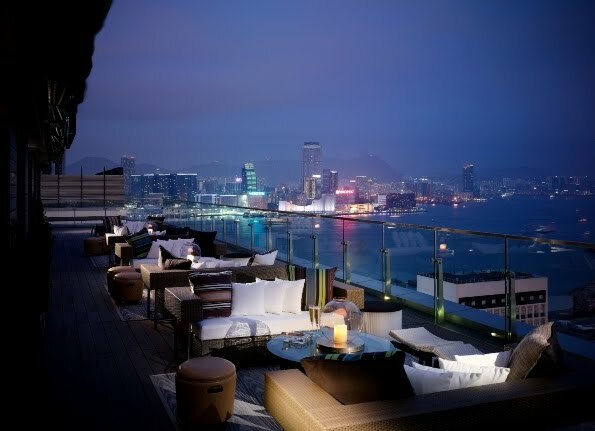 SEVVA has a lot going for it, from the amazing view on the top floor of Prince's Building to the stylish decor and comfort-food dishes. The after-work crowd was there in full force when I went there on a recent visit, soaking in the last of the sun's rays before they disappeared into the haze and imbibing a number of drinks from wines to cocktails. It's the perfect place to sit back and enjoy drinks, with SEVVA's creative cocktail list that includes Honeydew Royale, Ginger & Cherry Mojito, Pink Sangria, Yakultini and chocolate martinis, both dark and white to choose from. The food concept at SEVVA is to offer classic dishes with a twist, and they range from Shanghainese wontons to char-grilled striploin, Dover sole and Taiwanese beef noodle. And then there are some indulgent ones like macaroni and triple cheese bake with truffles or wagyu beef cheek and ox tongue pot pie with porcini fries. 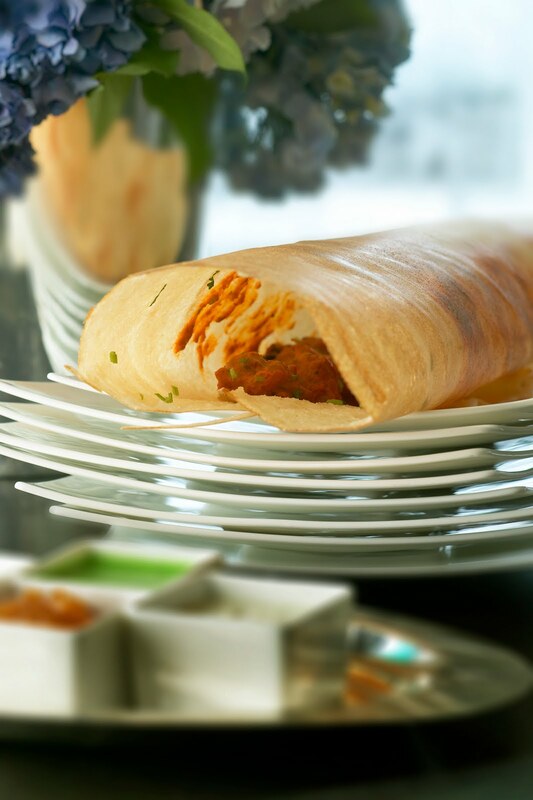 What's good are the dosas (HK$240), giant, oversized, thin and crisy South Indian pancakes with the choice of four fillings. To me it's more about the dosa than the fillings, though the one with chicken tikka was juicy and flavourful. Another starter is the baked crabmeat in shell (HK$280) which is filled with fresh crabmeat and finely chopped chives that's very good. The claypot rice (HK$280) is a delicious dish, not exactly in a traditional claypot but in a ceramic bowl filled with rice, fresh water shrimps and baby peas in a stock of chicken and abalone. This was definitely comfort food that was fresh and homey. Shanghainese wontons (HK$190) are also good too. The one called The Puritan is vegetarian, featuring over eight vegetables finely diced and wrapped in thin skins and placed in a clear chicken broth. For seafood, a light dish is the coral garoupa, seafood, tofu quenelles with rice vermicelli (HK$280) that comes in a fish broth, hsin chuk vermicelli and pickles. The seafood is cooked perfectly and tastes really fresh, the vermicelli angel-hair thin. After all that food, you have to still make room for dessert. The original crunch cake is delectably light and fluffy, with a play on textures of crunchy from the meringue and smooth from the sinful cream. What's great about the desserts here is that they aren't too sweet, a nice surprise. So that's why you can dig into the chocolate fudge cake with marmalade without feeling too guilty, or another called divine which is chocolate truffle with chocolate sponge cake with raspberries and blackberries, or how about fatal attraction, which has layers of espresso jelly and coffee pannacotta. A vegetarian dish with chicken broth.... hardly!